Washington DC is by far one of my favorite cities in the United States and I am so excited to share this post! There is always something happening in DC and if you haven’t been yet, make sure to include it in your list of future destinations! You have to see it. By far, one of the most impressive landmarks in the USA. The Lincoln Memorial is a 19-foot statue of Abraham Lincoln who sits overlooking the Reflecting Pool and the Washington Monument. It is well worth the walk up the steps to admire the monument up close. The view from the memorial is stunning. An ideal time to visit this city is autumn. Walk alongside the Reflecting Pool, you’ll see a line of trees along the walk. So so beautiful! 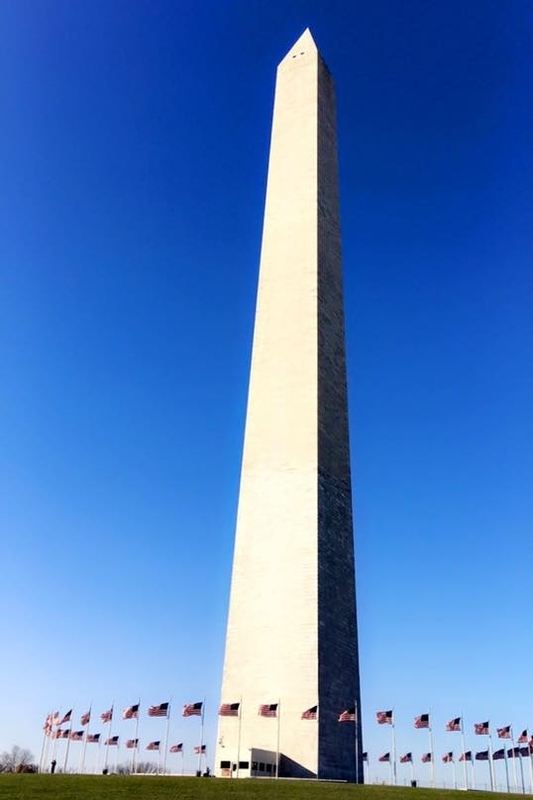 The Washington Monument is a must-see attraction for first-time visitors. 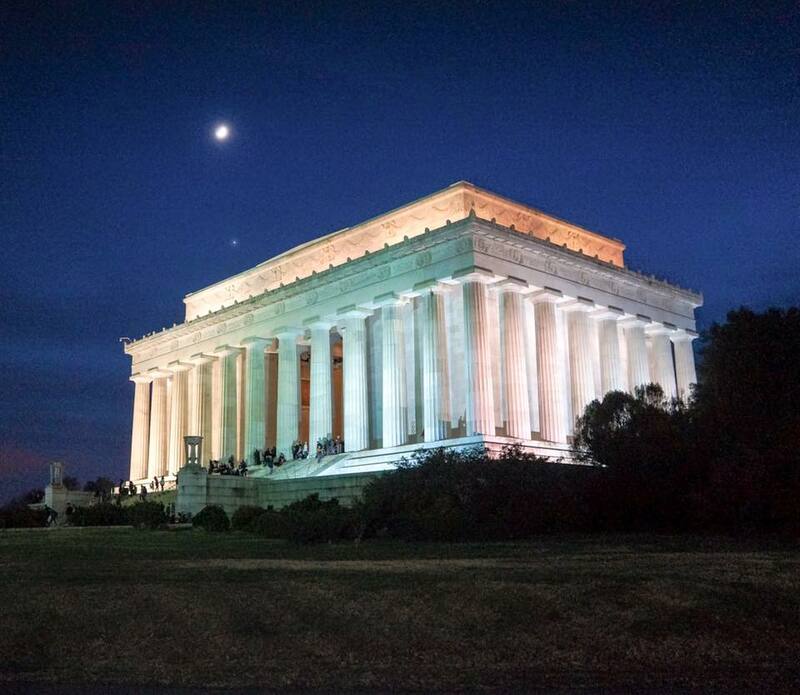 The monument has become a symbol of our country and keeps reminding us of the strengths of our first president. Note of warning, the Washington Monument is closed until the spring of 2019 to update the elevators. Don’t miss this stunning botanic garden. it’s a living plant museum and the best part of it is that the Admission is free. Such a beautiful building. It is the home of the United States Congress and the seat of the legislative branch of the U.S. federal government. You can begin your Capitol experience at the Visitor Center by visiting the Exhibition Hall. The Capitol Visitor Center, the main entrance to the U.S. Capitol, is located beneath the East Front plaza of the U.S. Capitol. If you only have one hour to spare, I recommend you take the 45-minute capitol tour. Before the tour starts, you’ll see a short orientation film, “Out of Many, One” which described how we come together as a nation to govern ourselves. Then, visit the Exhibition Hall. The exhibition is dedicated to telling the story of the U.S. Congress and how the Capitol was built. It’s located on the lower level of the Capitol Visitor Center. If you have the afternoon to spend it here, stop by the Visitor Galleries of the chambers of the House of Representatives and the Senate. BONUS! If Congress is in session, you might see history being made! Don't be fooled by the food court on the bottom floor. The best part about this historic building is on the top floor. This tower offers one of the best views of the city. National Park Service Rangers give free Clock Tower tours every day for free! The Old Post Office Clock Tower also proudly houses the official United States Bells of Congress, a bicentennial gift from England celebrating the end of the Revolutionary War. Go in the spring for the azalea gardens in full bloom! It’s Great spot for a few running laps or even just a walk. You'll see a variety of wildlife, especially birds, on a peaceful walk through the woodlands and marshes here. Added bonus if you've brought your fishing pole, you can fish here, too! Excellent little cafe, hidden down the alleyways. Plenty of seating and sunlight plus the coffee is very good. If you're into trying something different, please go to Karen Ethiopian Restaurant! The food is so delicious, the service is great and the prices even better! I can't emphasize enough what a great experience having this meal was. Please go!